Surely, you have passed through this situation and so you should feel familiar. 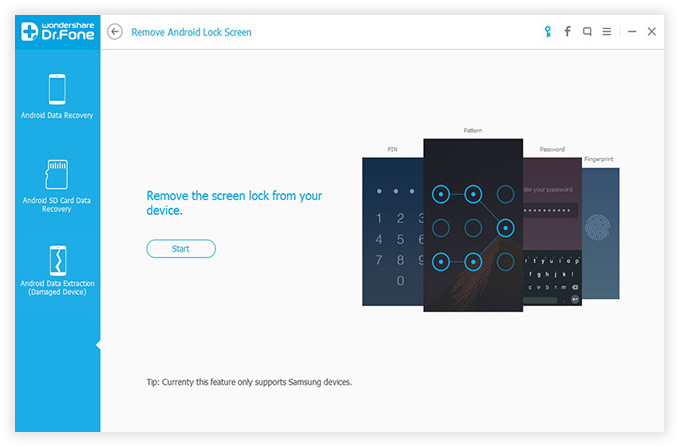 How many times has happened to you that you're taking your Android smartphone, but was in the hands of your son, nephew, little brother, or even one of your parents, who wanted to pry your Android phone and their attempts were in vain because the lock screen prevented it. The problem with this thinking is that luck was with them trying to insert your pattern blocks more than five times. Sure, it may happen that by coincidence, we are very confused and we have forgotten our own lock pattern. First of all, calm, do not panic, because as we will see there are ways to skip the lock and gain access to your phone or Android tablet. But in every way, whether the system of protection established in the terminal has a PIN or password, and not a pattern or facial recognition, almost certainly going to lose all data on your phone in the process. So far you should make a backup. There are several ways to unlock your screen if you have exceeded more than 5 attempts. So no need to be concerned about the solution. 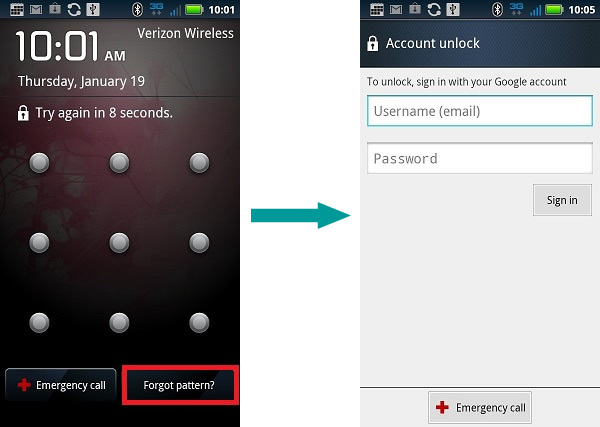 Here are the two ways to help unlock password on Android phone. The blocking pattern as a way allows us to enter the wrong drawing for five times and the sixth is blocked. If we return to try we get a message that we have to wait 30 seconds. If you still did not get a divine inspiration, we will have to admit that we have forgotten. To do this, click on "Forgot pattern?". Once you do leave us a screen where we enter our data Gmail account. 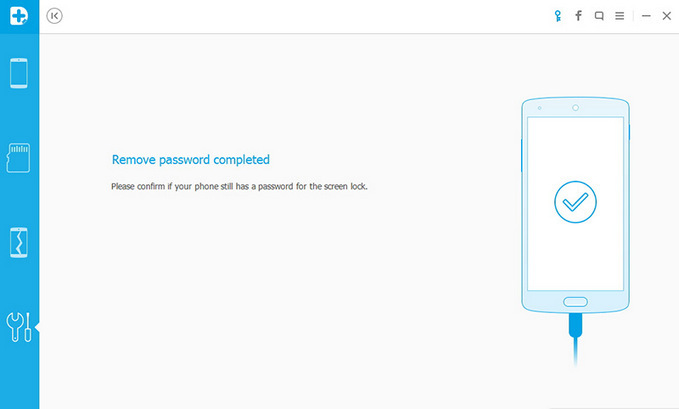 You're allowed to unlock your device using your Google account credentials. 1) After 5 incorrectly drawn patterns the screen will be lock. 2) At the bottom of the lock screen you can click on "Forgot pattern?" 5) It allow you to Draw a NEW unlock pattern. Notes: This method requires you to connect your device to internet (Wifi) or you can't log in Google account. Tips: After successfully unlock the phone, it is highly recommended to kee a record of important passwords you use frequently. There are so many password manager apps available, which makes extremely easy to save and read password in a single place. You can find a few amazing apps for this purpose from iSeePassword website. If the above solution does't work for you, unfortunately, you are going to have to resort to desperate measures. I'm talking about a hard reset, or what is the same - restore factory settings. It is a tough but effective method. 1) You first need power off your device , then hold down the Volume Down key and the Power/Lock key simultaneously for a few seconds. It will fastboot your device. Then you will enter the Recovery Mode. 2) Navigate using ONLY the volume down key. Go to "wipe data/factory reset", hit it. It will wipe all settings and data on the device.Then reboot your phone, the password will be removed. Once you perform the factory reset successfully, you'll be able to access your device without entering the lock password. 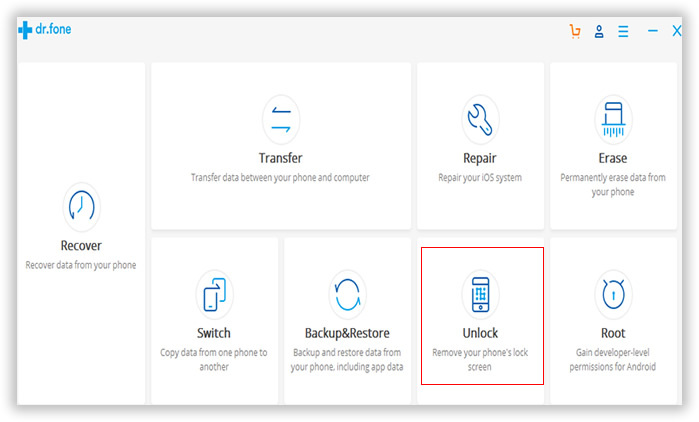 In a word, it is highly recommend using the solution 1 to lock your Android screen password, but if you have troubles signing your Google account, you would have to try the second solution despite losing your data. With this, we lose all the data we had on our phone, but on the other hand, resurrected our beloved smartphone. Therefore, it is always good to make phone backup frequently. You never know what can happen to your smartphone. If you don't have a Google account and want to keep all data on the phone, then you should use Android Data Recovery instead. There is password removal tool embedded into the program and you can remove the password of PIN/patterns/finger print in a few minutes. Mostly importantly, there is no data loss by using this method. Step 1 : Download and install the program on a computer. Open the program and click "Unlock" from the main window. After that, the program will bring up a new window. Step 2 : Connect your phone to computer with USB cable. 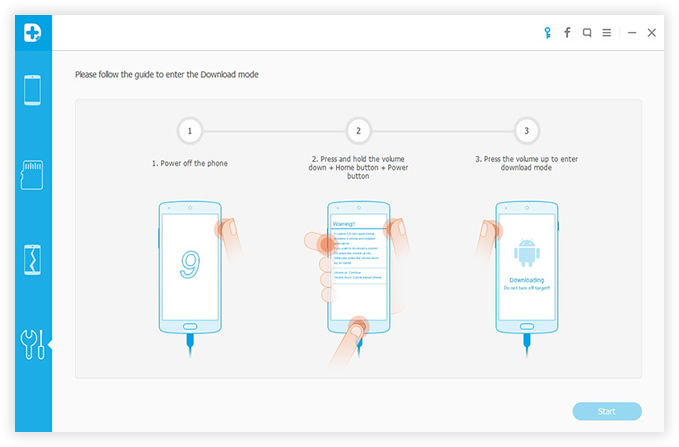 Step 3: Get your Android phone into Download mode. Don't worry about this. Just follow the instructions displayed on the window. Then you can enter into Download mode in a minute. Step 4: Click "Start" button when your phone was in Download mode. Then the program starts to download corresponding recovery package required by the program. 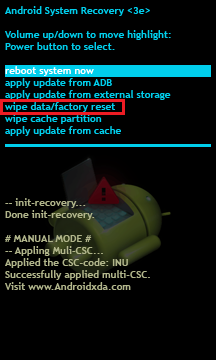 Step 5: After download is completed, Android Data Recovery starts to analyze the device and remove the password. This takes a few minutes and there isn't any data loss during the whole process. So the simplest way to reset screen password is with Google account. If you don't have one, please make one now in case of further usage. 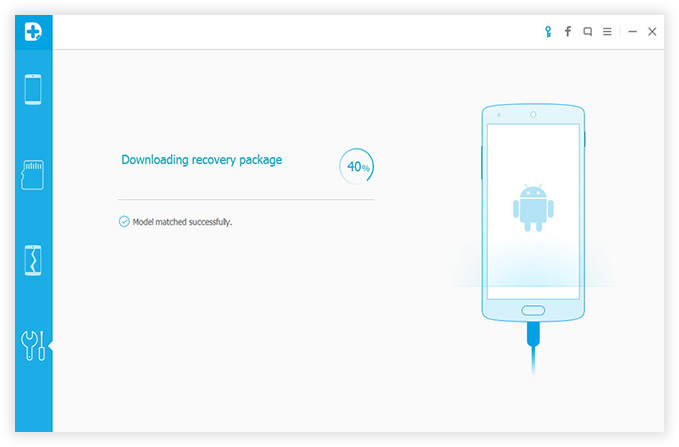 Another thing to note, Android Data Recovery can also retrieve deleted files from Android internal memory and SD card. It is one of the most powerful tools for Android users. Tips: for Windows password reset or removal, you can refer to this tutorial instead.